You get from $5.60 and up to $8.71 for every single dollar that you spend on CRM. The reason for such a benefit is a new era of informed consumers. They don’t buy the things that they need or want. They do the research and they pick up not the right cost of the goods or services. They choose great customer experience. CRM is what you may think of and read a lot of theories about its efficiency. Let’s think how it can enhance performance and how you can benefit from integrating it. CRM is about technology. The data is stored on the cloud that makes it easy to access it from any location and any device. It’s about building the strategy. You craft long-lasting interconnections with your current and future clients. You can predict the results of your actions and solve any problems that may come out. CRM is about the process. Companies benefit from well-planned interconnections with the customers that lead to an increase in sales and company earnings. 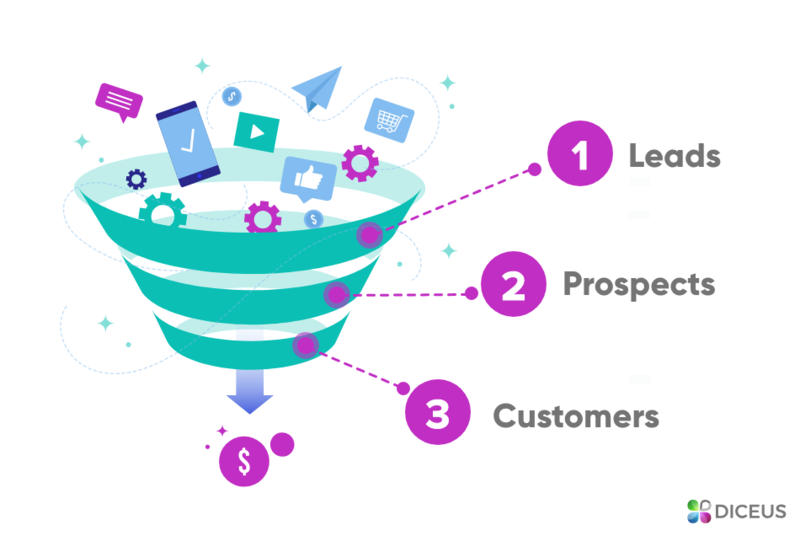 You have a predefined sales pipeline where you see the route of each customer from the very beginning to making a purchase and further interaction with them. 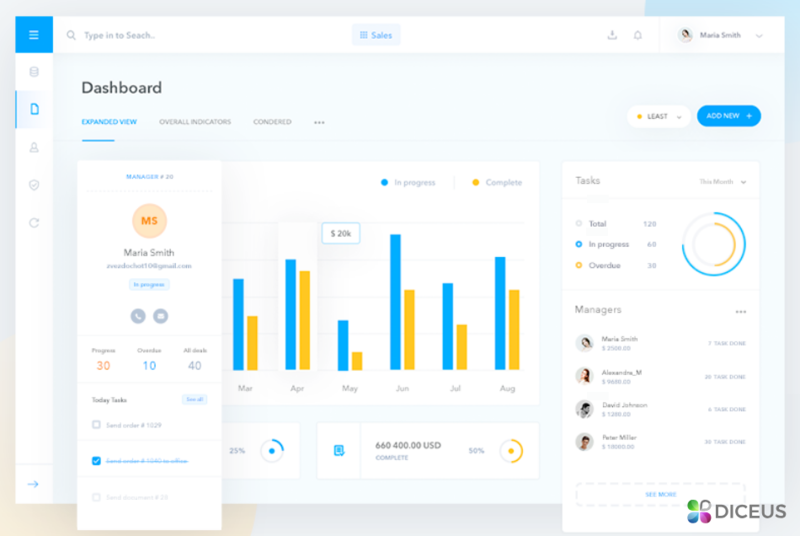 CRM stores all the available data about clients that create a full profile of a personality with a list of preferences, habits, everyday activities, social activities and so on. You get a 360° view of any person to use the data for a personalized approach to sales and communication. There’s a tendency to use CRM in companies with over 11 employees. It’s ok to wonder how it helps in sales, whether it’s easy for the team to use it and how you can truly benefit from integrating the system. What can you expect from purchasing a platform for your organization? How does CRM increase sales? Scroll down to see the answers. There’s no need to use dozens of different software products and enter all the data manually. We call these actions as time killers. The team doesn’t have to complete tasks and focus more on selling. There’s more time for communicating with the customers or representatives of other companies. Hiring a new person and training the staff takes less time with the standardized process of sales. A newcomer gets started in a very short time and you get the first results faster. Effective unification of CRM with other processes in the company gives a single but powerful tool for solving everyday tasks. All in one place. You can evaluate the overall success of the team, see what kind of training you should offer to all or only some of the employees to enhance productivity and personal performance. This will also motivate the team members to complete tasks more efficiently as they can also see their own achievements and how they help you reach general commercial goals. No more manual evaluation of all the leads is required. You will need to define the points that each lead will score for some specific activities or parameters. You may define these parameters or choose some specific triggers to let the CRM give points to every lead. You may take into account the place of living, job title, social activities, gender and so on. What you will get is a pack of categories of leads that the team will deal with. Hot leads that are more likely to be interested in your goods and services will be located in a separate category. Depending on the way you got the leads, you will have an opportunity to automate follow-up communication means to keep in touch with them. A good CRM will provide the team with the visual attractiveness of the data. There might be schemes, diagrams or any other elements that make the data perception easy and pleasant. Visualization of the data, the relationship between the company and the customers increase the efficiency of the team. Simplified perception of the information lets the sales team focus on increasing the conversions rather than on analyzing this very information. You may add some additional blocks of data to the visual reports that you cannot represent in figures and letters. This may be an attractive advantage of the company to hire the best representatives. How does CRM increase sales if we have simplified access to the information? There’s a central node where the data is stored. You can provide access to different sections of the data for different groups of people. The team can access the platform from any device like PC, Macbook, mobile phone or tab. There’s easy access to all contact details like email addresses, websites, social profiles, and accounts. You will see the history of communication with the client, what purchases have been made and where they have come from. There’s no need to be in the office or in any specific location. Cloud solutions let the sales team members access the system from any place. They will need internet access and login details. It’s handy if you have offices in different cities or countries. Automating the processes let you focus on essential tasks. How does CRM help in making more sales in this case? The first thing here is automating different kinds of reminders for the team about everyday tasks. They will never forget to get in touch with some specific clients or make important phone calls at a specific time. 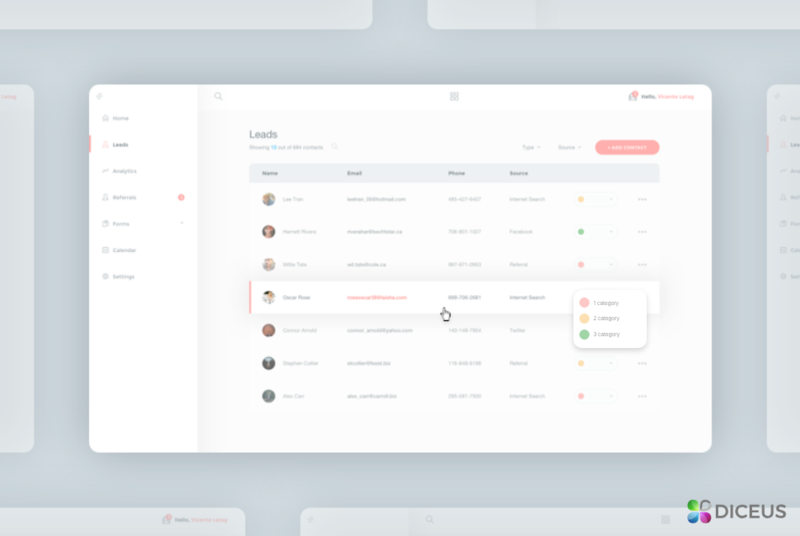 It’s easier to organize the work of the team if each person has a precise plan of actions that they need to take for every category of clients. And it’s much easier to evaluate the progress of the team in this case. Automation will let you craft a roadmap of the selling process for every category of the clients. It will eliminate the time spent on trifles or administrative routine and give more time for improving the sales lifecycle. The way you collect, process and use information will define your success or failure. 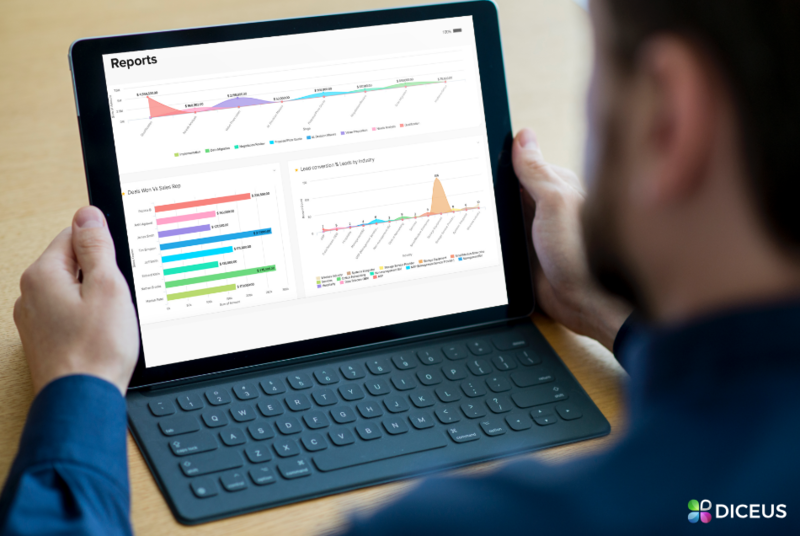 Let’s imagine a situation without CRM and you have a goal to prepare an accurate report. If you have a hard-working sales team, they will provide you with a great amount of information. Everything is stored in personal notepads, on hard drives of laptops, or simply in the memory of team members. You may have a few dozens of various tools that the team uses for emailing, chatting, making calls, planning meetings and so on. There’s no single place where you can check the work and progress of the sales team. You will spend much time to get any data and any team member will have to do the same to get any information. Can you imagine accurate reports containing valuable information on what has been done, what’s in progress and what should be done in the nearest future? Even if you accomplish the mission of gathering all the information, you may have difficulties with extracting the essentials. And this will be wasting valuable time. A platform will let you collect, analyze, sort, process and store data in one place. This will let you get accurate reports with the information for crafting customized reports. If you don’t have a platform, you will either have a lot of guesswork or you will spend a lot of time analyzing the reports and crafting predictions. Let’s take a close look at how CRM helps in sales predictions. You have a good tool for segmenting your clients into different categories depending on their gender, age, social activities, habits, personal preferences and so on. A CRM platform analyzes conversions for each category and provides you with the predictive analysis for the nearest future. Having accurate reports containing the information about the past conversions, you will have predictions about ROI for each category. This will let you shorten the period of time required for making marketing decisions. You will get the report without the need to manually process big amounts of data. 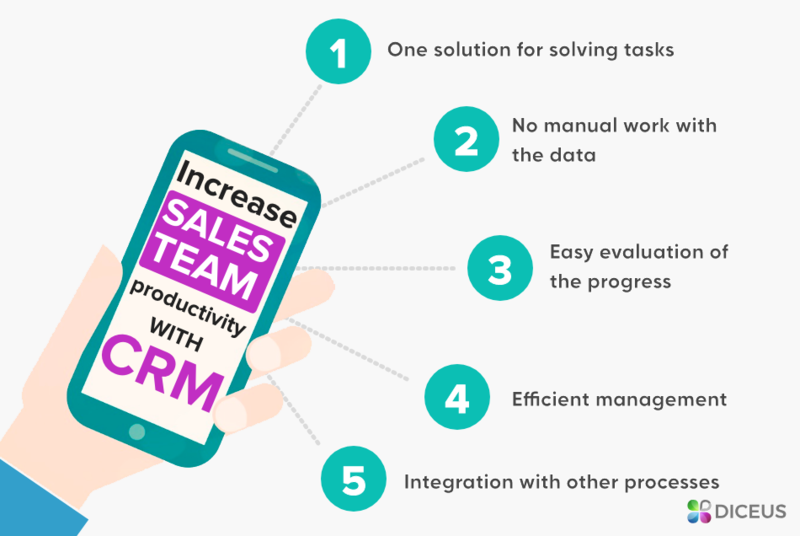 A good CRM system will let the sales team predict the revenue, conversions and evaluate the progress at the end of a specified period. If customers trust you, they will purchase your goods or services. Reliable CRM collets, stores and processes the data and restricts access to the information by third parties. You cannot allow data loss in any form. If a customer gets a new phone number that they use for contacting you only and there’s someone else using these contact details for selling goods or services, you will have a high risk to lose this customer. To raise the loyalty, you should make your customers be confident in your company. How CRM can enhance company performance? It gives you the opportunity to craft a trustworthy interconnection with all the customers that select your organization. 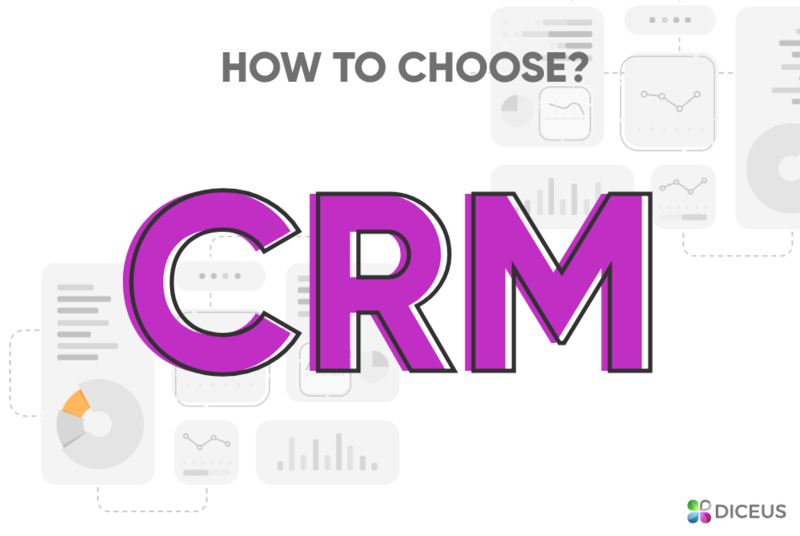 How to Pick up the Right CRM? The goal of any organization is increasing income and minimizing the expenses. If you pick up the right CRM platform, you will benefit right from the first months of its use. The first thing to consider is choosing a cloud platform or the one that you have to store on your own servers. Cloud-based CRM solutions are more cost-efficient. You don’t spend costs on maintaining the servers, organizing backups of the data and updating hardware or software on demand. It will be easy to scale the platform if you enlarge the number of users. You have automatic software updates and you don’t care whether the hardware will meet all your requirements. 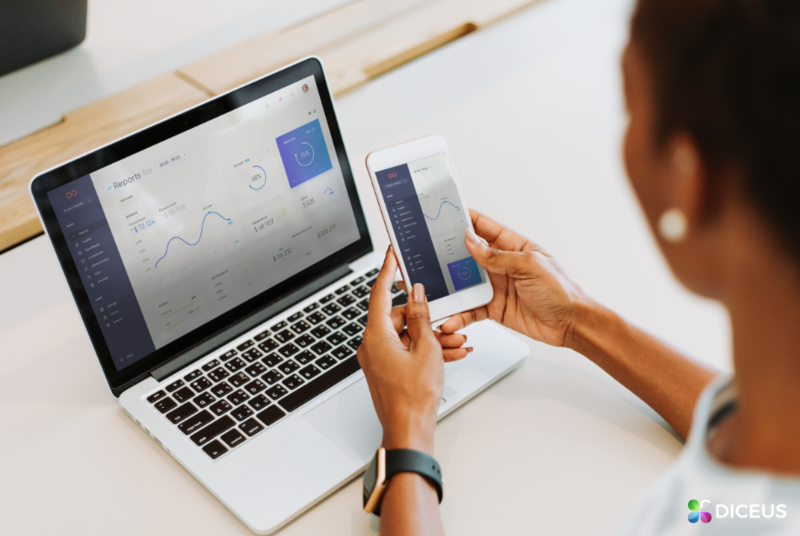 Some platforms offer various payments methods where you pay for the number of users that have access to the system or the number of features you want to have. There’s no best option for every business, it’s good to analyze what you need more and whether you plan to escalate the number of users in the future. Increasing the productivity of the team and the earnings of the company are the two things that modern businesses focus on. The use of CRM system can give you a good opportunity to enhance the performance of your business. Raise the efficiency of your team. Analyze the communication and interaction with the users and their results. Escalate your sales by automating the processing and reaching your customers at the right time and on the right day. Get accurate reports that give you the understanding of what has been done and the results of these activities. You get accurate sales forecasts that will let you predict the revenue for the nearest periods. 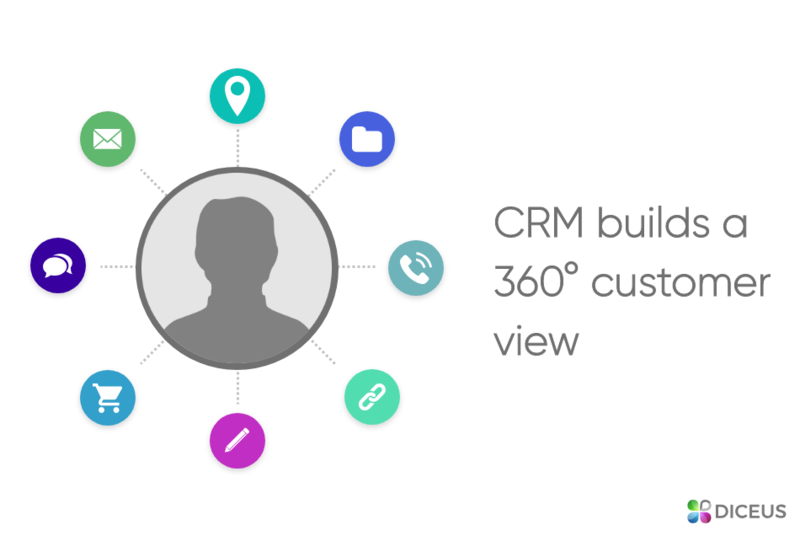 Reliable CRM will let you access data from any device in any location. The access will be restricted and everything will be stored the way to guarantee safety and security of personal data. Fast, reliable and efficient CRM solutions are what Diceus company is the best at. Individual approach to every client allows the team to craft a customized platform that will help you reach your business goals. We have a team of certified and experienced developers that deliver the best results in time. 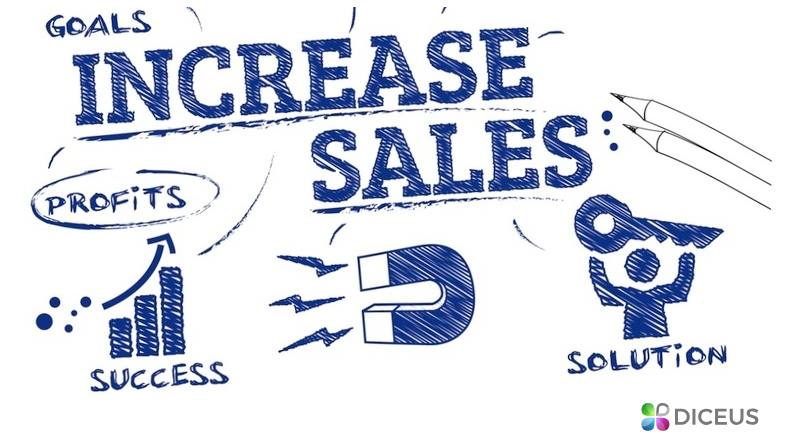 Increasing sales is the goal of any business. Achieve this goal with the solutions delivered by Diceus. What you get is a 101% result, easy communication with the team that is dedicated to every project. A high level of expertise lets us provide the best CRM development services to help you escalate sales and make your business prosperous.